What more can be worse than finding a cloned China version of another China phone. I stumbled on this and I decided to share it with you guys. This topic is going to come in handy for those who are planning in getting an Infinix hot note device especially those who aren't too techy. 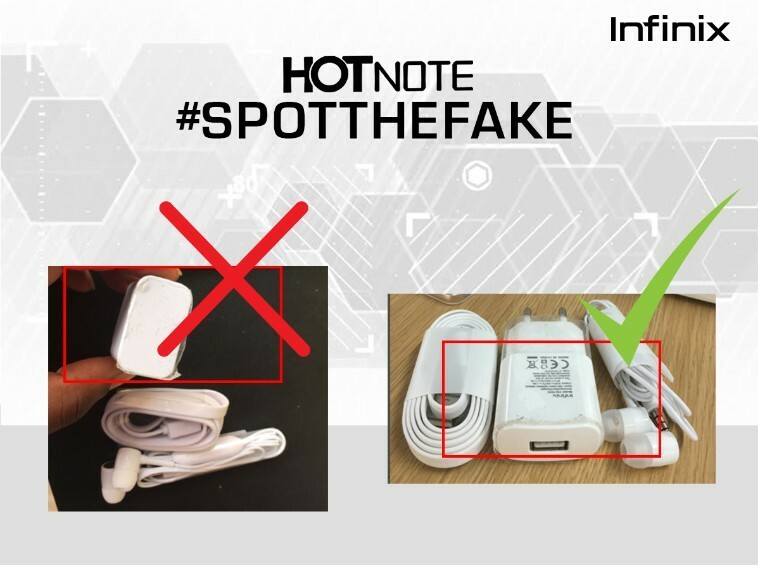 Although the difference between both the fake and the original Infinix hot note, I really won't be surprised if some people end up falling for it. 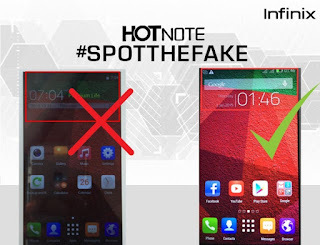 So I have decided to share some fee points to make you easily distinguish between the real and cloned Infinix hot note. 1. 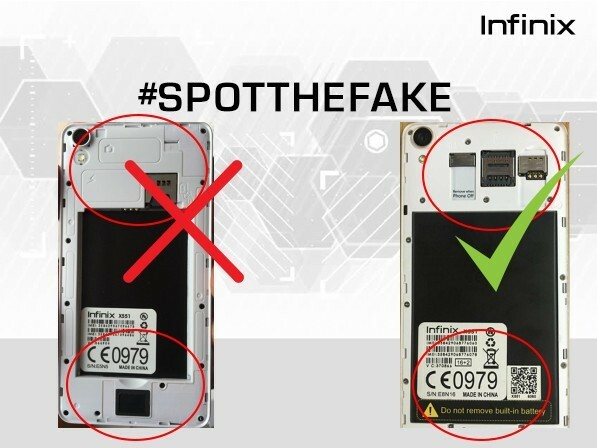 The arrangement of the Speaker and SIM card port is different from the original as shown in the image below. 3. 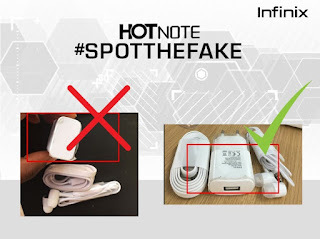 The charger is different, the original charger is thicker and the USB port on the original charger is at the top while that on the fake is at the side. So guys here are just a few points. 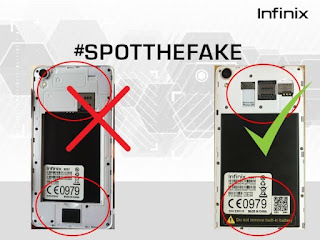 I will really advice you guys to double check before making a purchase or better still buy your phone from a reliable seller.